(7Y/MYP) (Yangon, Myanmar) 2014 - Current. Photos. Framable Color Prints and Posters. Digital Sharp Images. Aviation Gifts. Slide Shows. 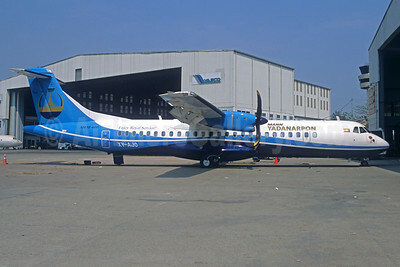 Mann Yadanarpon Airlines ATR 72-212A (ATR 72-600) XY-AJO (msn 1127) RGN (Jacques Guillem Collection). Image: 927269. 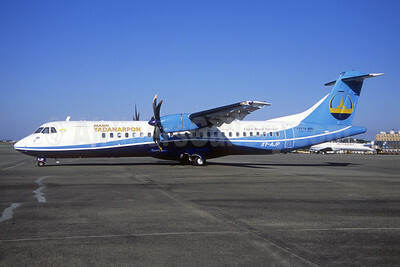 Mann Yadanarpon Airlines ATR 72-212A (ATR 72-600) XY-AJP (msn 1137) RGN (Jacques Guillem Collection). Image: 946117.